Welcome to Simply Sharmaine ~ REJOICE! This is the day the Lord has made. Today is a gift. Enjoy the present. Every sunset and every sunrise bring a new day abounding with God's grace and mercy. 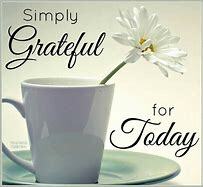 A new day to be thankful and grateful for the blessing of a loving heavenly father, who sent His only son to take away the sins of the world because of His love for each and every person that lives and breathes and is yet to be born. He lives and is seated at the right hand of the Father. He alone is worthy! Worthy because without Him...humanity is nothing. Let's get to it! As the holiest week brings us closer to Good Friday, Passover, the Crucifixion, and Resurrection of Jesus, the Garden of Gethsemane is a beautiful picture of the relationship between Jesus and His father. Jesus was in the garden of Gethsemane, taking time to pray to His father. 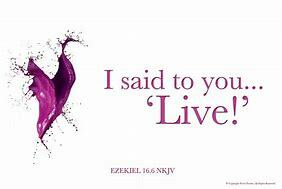 Jesus, knowing what He would endure, lifted up in prayer, His most intimate feelings. He knew the will of His father would mean betrayal, a physical agony and torture of no other, Jesus would be burdened with the sin of the world, nailed to a cross, rejected, yet Jesus the perfect unblemished Lamb of God, experiencing everything we experience in this sinful world, set aside time to be alone with His father to cry out to him with all purity of heart. An angel was sent to give Jesus strength. He experienced weakness and hurt just as each of us. Jesus prayed to have the suffering of what was to come removed from Him but Jesus being obedient says "Father, if thou be willing, remove this cup from me, nevertheless, not my will but thy will be done."(Lk. 22:42) His sweat, like drops of blood, gives a clear visualization of the enormity of his grief. The picture of love between the son and his father. To do the will of the father, knowing what it would cost Jesus because of obedience and LOVE is beautiful and worthy of all praise, glory, honor, obedience, and sacrifice from us as believers who have received salvation because of Jesus Christ. The Garden of Gethsemane is highlighted with the betrayal and arrest of Jesus but the Garden of Gethsemane holds a bigger, more glorious picture of the enormity of the LOVE between Jesus and the Father. The intimate time he takes in prayer to be alone in the presence of His father shows just how important prayer is as well as the LOVE God has for us. In rememberance of such LOVE given freely....take time to lift your heart up to the one who deserves all honor and praise for rescuing every life from the pit of hell, so redemption could be received! Welcome to Simply Sharmaine ~ REJOICE! This is the day the Lord has made. Today is a gift. Enjoy the present! God is good. He is good all the time. Even in the ups and downs of life, He remains gracious and loving to us. Saturday is for Smiles, Fun, and just chillin' in the presence of the Lord... being thankful for another wonderful day. A Weekend of Worship makes for a Work Week of Victory. I hope you have the joy of the Lord today. Let His love for you give you a new song on your lips. Praise for your day! A night overflowing with peace! God's plans are for good. No matter what we face. He is the light of the world. He turns the darkness to light. Takes us from death to life. Turns sorrow into joy. Turns to mourning into dancing. God is Love! May your Saturday be filled with many smiles! 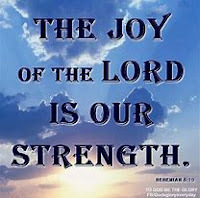 The joy of the Lord is strength! Get your joy on and Praise the Lord! Jesus Loves You! Have a blessed and wonderful weekend! Welcome to Simply Sharmaine ~ REJOICE! This is the day the Lord has made. Today is a gift. Enjoy the present. Today is a brand new day. Yesterday is over. Today is here. Let the Lord show you the way as you journey through your day. He is the good shepherd who tenderly guides His children. He knows the way through the wilderness. All we have to do is follow. Trust in Him today. Don't wallow. Cast all your cares on Him and don't worry about all your tomorrows. Let's get to it! Preparation for having a party or company involves lots of different elements to making it all come together. There is food items to be purchased, invitations to be sent, decorations to be hung, outfits to buy, and table arrangements for the guests. There is extra effort taken so everything is just right for the intended guests and for the person to whom the celebration is for. However, sometimes there are unexpected guest/s. The doorbell rings, they enter, and whether or not the house is dusted, cluttered, or a meal prepared without any prior preparation they arrive. I like to call that, Spontinaity or winging it! Some like that, Some don't. Hopefully, there is a welcome invitation to join the celebration. The great thing about celebrating with the best friend you could ever have, Jesus, is there is no previous preparation needed. He is always available. There is no required dress attire. Nothing has to be cleaned-up or set just right, and no matter what, He is readily available with everything needed. There is no specific time of arrival and there is no ending time to the time you spend with Him. The only thing required is to open the door of our hearts and receive everything we need from Him. He has already prepared it all. All He wants is for the door to open, sit down, and let Him do the rest. The table is set. Jesus has sent out an invitation that does not expire. It has no favorite people on the list. All are invited. He waits for you. Waiting for you to open your heart. When you let Him in, He has everything and more that you could ever ask for. He has the love you need, the peace need, the joy you desire, the comfort you long for, the forgiveness, hope, and strength to make it through the tough turbulent times, the tenderness, mercy, grace, and healing you need and desire from illness, addiction, depression, anxiety, stress, negative thought patterns, whatever you got...Jesus is the answer because He is the antidote for everything that torments and sadness us in this world. Jesus has overcome the world. He is inviting you to sit at His table. 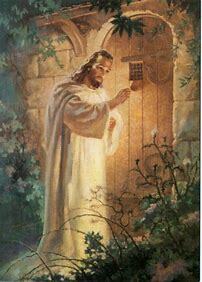 Will you open the door of your heart and let Him in? Place: Anywhere ~ Right where you are. R.S.V.P: None needed. I am waiting for you. Attire: Just as you are. P.S. Please bring the following ~ An open heart ready to receive, love unconditionally. May your day be blessed knowing Jesus is your friend. You are valued and accepted, loved and wanted by Him. Just bring yourself. Let Him shower you with His love. He never gets tired of knocking, He is waiting for you today. Jesus Loves You! Welcome to Simply Sharmaine ~ REJOICE! This is the day the Lord has made. It is a gift! Enjoy the present! It is a brand new day to give thanks to the God of all creation. The one who is worthy of all praise, honor, and glory...there is none beside Him...He is the alpha and omega, the beginning and the end before the earth was formed, He was and is ~ He deserves everything because He is the giver of all things ~ All that we are... is owed to Him! Let's get to it! HOPE~ A feeling of expectation and desire for a certain thing to happen. To anticipate, to wait for, to look for. 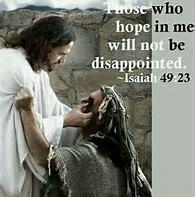 Without hope ~ there is hopelessness. There is nothing to wait for. Nothing to anticipate or look for. There is an emptiness because the expectation of something changing for the better is perceived as not coming to fruition. It robs a person of seeing anything but negativity and despair and those two things come from the devil. In 1 Peter 5:8, Peter uses a roaring lion to describe the devil. He lurks, prowls, waits to pounce like a lion going after its prey. Be sober, be vigilant because your adversary the devil as a roaring lion, walketh about seeking whom he may devour. The verse before eight in seven establishes our hope in God. Casting ALL your care upon Him, for He cares for you. God cares for ALL and cares about ALL situations. ALL of the suffering, trials, tribulations, addictions, afflictions of body, mind, and spirit, ALL things, God cares about and ALL things He is exceedingly able to take care of when surrendered to Him. God calls us to be sober, clear, alert, aware, ready, purposed in heart, steadfast, firmly rooted in His word so that when the daily struggles, issues, hurts, pains, addictions, sorrows of life make life overwhelming and the weariness starts to set in...there is hope knowing God cares about it ALL and He will see you through it ALL. He died for it ALL. He forgives it ALL. He is the answer for it ALL. He is the anchor of the soul of every man and woman when He is the one we cling to. God warns us because when hopelessness, weariness, discouragement, despair, sadness, worry, anxiety, depression, anger, frustration, etc..negativities... take away our joy...the devil prowls on weakness. Being alert, aware, and diligent in our relationship with God keeps the hope in our hearts that God is in control. He is our source of strength. God gives the peace that surpasses all understanding...guarding the heart, keeping our lives looking up to Jesus the one who died and rose again to give us the hope of eternal life, filled with joy, peace, and love. The enemy of in this life wants to take your joy away. Why? because the joy of the Lord is where strength is found. If you don't know Jesus Christ as your Lord and Savior, you can receive Him as simple as surrendering your life to Him in repentance of sin. He died and rose again to save you and ALL the world from ALL sin, no one is too far from God, God is right where you are... there isn't anything on this earth of sinful people that God doesn't forgive. He loves you! He wants ALL to have a life that is pleasing to Him because He wants good for you because GOD IS LOVE! Like the prodical son, He receives us with open arms just as we are. We don't clean-up before we come to Him. He washes us with His cleansing blood, and He alone by the power of the Holy Spirit through His grace and mercy redeems our lives so that we are vessels to serve Him making us new creations. It is not complicated. It is simple. Reach out! Repent! Receive! Rejoice! Victory in life begins with Jesus. Who has the writing instrument of your story? Welcome to Simply Sharmaine ~ REJOICE!! This is the day the Lord has made. Today is a gift. Enjoy the present. It is a new day. Mercy and grace are new every morning because of God's great compassion, love, and faithfulness. We have hope with every sunrise that God is going to take care of every situation we face because He cares for us. Let's get to it! Who has the writing instrument of your story? Is it God? Is it You? Who is the author of your life story? Maybe your story started out with bicycle rides, hubba-bubba bubble gum, fishing with friends, or maybe your story started out with abuse, neglect, and hurt. Each one of us has a beginning story that we can not control when we are born into our earthly families. Some good. Some amazing. Some not so good. Some like a horror movie. Life in the natural human environment is not perfect. We are imperfect people. Kids grow up to be adults. Who then have kids. Thus, the cycle goes on and on. However, the beginning does not have to remain in the middle or end of your life story. Your story can end with life everlasting, love, joy, peace, forgiveness, a new creation of a life renewed, redeemed, and restored into a refreshing life of living with Christ ~ A whole new book! A life with a story that goes from death to life. 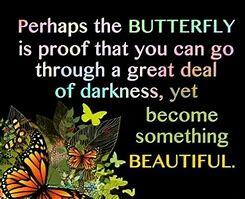 Darkness to light. Emptiness to fullness. Neglected to Loved. Like any good book, the deeper the story goes from page to page, the more the story draws you into the transformation of the characters as the story slowly evolves. There are events and circumstances that cause tragic events, or happy circumstances that change the course of a rather sad situation into a hopeful one or the opposite. The author writes and creates how the ending will be because they control the words that form the sentences, that flow into a rhythm of ~ a wonderful book, a sad book, a horrific book, a love story, etc. by choice of words. Choices of how they control the story. Our lives are a story. A story that is constantly being rewritten and continually evolving with many different series until death is the ending for us all. Where will our spirits be when we face that inevitable ending? Hell or Heaven? You can change how the last sentence of the last book in the series of your life through ~ Jesus Christ. 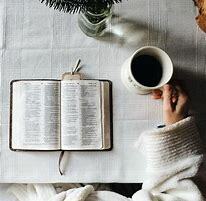 Accepting Him into your heart making all previous books written the ending to the cycles of the world and what it made you believe your journey had to be, before knowing the greater path God created for you in finding your true identity. Accepting Jesus Christ is where a whole new series, title, and author begin to write the story of a hope-filled life. From self and the devil is the author to Christ and the Holy Spirit being the author. So ~ Who has the writing instrument of your story? My story goes like this ~ Once upon a time, I was scared, neglected, hurt, lost, and a lot of other things. As I let the world tell me who I was believing lies my life slowly drifted from the Lord. The story did have wonderful awesome chapters year after year but circumstances and choices lead me to do things my own way, not God's way. Life took some unexpected detours and I made choices to go down wrong pathways where the destination was destruction. The devil was a liar telling me in several chapters that I wasn't good enough. Beating me down with negative thoughts telling me nothing would change for the better. I was destined to be nothing. My sin overflowed the pages where despair seemed to be what would be written with cycles of repeat behaviors learned and also mixed with lies. Bad choices that I made only made it worse as I tried to be the author and control my story, seeing only a hopeless result of repeat patterns of sin. However, that story was not what God intended for me. Nor does God intend for your story to be written by the devil either. 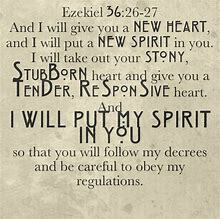 Glory to God ~ He faithfully and lovingly saved me, restoring my soul. Jesus death, resurrection, and atonement of my sin...reminded me that I am His beloved child, I am not alone, that hope, love, peace, and joy could be a part of my life by putting my trust in Him in complete surrender. Christ plucked me out of the miry sinking sands of the world and set my feet upon the rock. Jesus Christ the rock. A steadfast, firm, unshakable rock where I cling to Him each day. Only by the power of the Holy Spirit and His word do I go forward each day grateful for His mercy and Love. Jesus is the way! He is the truth. He is the life. He is the light in the darkness. He is the good shepherd who wants all to be found so no one perishes. Jesus came to save all of us. We are all sinners. 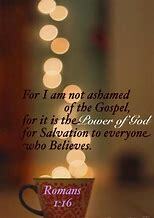 Saved only by the grace of Jesus Christ. We can't do anything to earn the gift of salvation. Jesus died on the cross and shed His blood to make the way for us. Will your life be a biography or autobiography? Jesus written or self wrote? 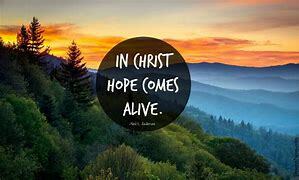 Jesus is where hope, love, forgiveness, peace, renewal, freedom, and life everlasting from the worlds chains of addictions, pain, and despair are found. There is no sin, that God doesn't forgive. You are never too lost. No matter where we are, what we do, God's loving hands are already reaching out to us, the choice is for us to make. Do we take His hand and allow Him to come in and save our stories from hell and destruction or continue to believe the devil's lies or nothing can change? Jesus is a good shepherd who is faithful. He never forsakes. He loves you so much that He died for you to take every sin away, every burden, addiction, anxiety, hurt, hindrance, etc. and replace it with the truth. No longer slaves to sin but sons and daughters of freedom. Living vessels of light to the world to serve Him. I pray and hope that alittle bit of my life story that was rewritten with Christ will encourage you to seek the one who loves you, died for you and can change your life too! Welcome to Simply Sharmaine ~ REJOICE! This is the day the Lord has made ~ Be glad in it! Get your joy on! Today is a gift. Enjoy the present. Do you know that God loves you so much that He sent His son to die for you? To take away every burden of sin, giving you eternal life, molding you into a new creation for His glory as He intended for you to be? Do you know that God looks down from heaven and sees you as His own, with loving eyes, with strong safe open arms to find comfort and refuge from the daily storms of life? Do you know that God created you to be exactly who you are, there is no one like you? He formed you, knit you together in your mother's womb, knowing you before you were conceived and inscribed you on the palm of his hands, for a purpose of good, so you would be a shining light for His glory and honor? Do you know that there isn't anything that God can't do? He is mighty, He has overcome the world, He is with you wherever you are, He is near not far, He never forsakes, He is always faithful, He is love, light, and life, He is the way, He is the guiding light in the darkness, He is the loving shepherd that reaches down into the depths of the pit of hell and sets our feet upon solid ground, He is the rock and refuge through it all, after it all, and when life tries to knock you down because the devil wants to devour the souls of every person so they won't fulfill their purpose, God does not want anyone to perish he wants us to rise, knowing with Him ....we live as victorious saints. Jesus loves you! He died and rose again for you and for me, for everyone. He makes all things new. The devil wants you to think you can not overcome sin but God says with Him we are no longer slaves to sin. There are no chains and shackles with God. He is the key that unlocks the prison doors of our lives and sets the captives free! I hope you know Jesus today. If not, don't wait. It may be too late. Tomorrow sometimes never comes. Do it today. Let him wash all your sins away. His mercy and grace are new every day! Do you know Jesus as your savior? Do you know His amazing love? If you do, give God all the praise. He is worthy of everything. If not, give Him your life, Jesus loves you, just as you are! One life! One purpose! One message! JESUS! Welcome to Simply Sharmaine ~ REJOICE! RISE! SHINE! This is the day the Lord has made. Get your Joy on and Praise the Lord! Today is a gift. Enjoy the present. Let's get to it. Whose driving is the question I ask my husband before getting in the car? Sometimes he drives. Sometimes I drive. The destination is set. Backing out of the driveway, the road ahead is before us. I hit the gas peddle and off we go with smiles on our faces. Our minds are set on time together, enjoying a nice conversation, relaxing, with time for just the two of us. That's our plan. However, nothing goes according to plan. After 32 years together, there is still that little bit of disappointment when things start going haywire. A few miles down the road, traffic. Instead of peaceful, the ride is anything but enjoyable. Isn't that just how life seems to go? Life gets shaken with the unexpected. It is constantly detouring off on a path that was never part of the perfectly plotted course written in the mental agendas that we keep. I have learned over the years, many years,to look at the disturbances as redirected opportunities. Opportunities to look up to the Lord and say, what are you showing me, Lord? Instead of annoying traffic....I focus on, there must be a blessing in the delay. It took years to learn and learn something new each day. :) Looking to God each day and not the obstacles that are along the way replaces annoyance and discouragement with peace, hope, and purpose when plans are redirected. Plans are just that. A course set ahead of time with the intent that they are going to be as we have them all nicely figured out. We can't plan for unforeseen circumstances that may throw things off course. 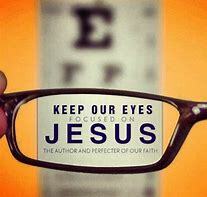 It takes the determination of focus on the Lord, diligence in His word, and deliberate surrender allowing the Holy Spirit to take the driver seat in life, knowing and letting God, be the one directing the path. Not us. I have the imaginary brake on my side of the car when anyone else drives. It is natural to want control of what happens, doesn't happen, how things should go and be but God's way is the best and only way. Have you ever looked at your life at some point and said..how did I get here, this is not my life? Well, that's because God is in control. He uses everything for His glory. Even all the messy ugly things... He masterfully uses for His glory. He is an amazing God. When we trust God, He makes sure we reach our Godly destination. His plans are for good. He knows the way through the wilderness. He knows the course to follow through the valley. God knows how to climb the mountain. God is the firm foundation we can securly stand on. The rock to cling to. He determines our steps. On this beautiful Tuesday, I hope you know Jesus loves you. He cares for you. I hope He is the Lord and Savior of your life. There is nothing too difficult for Christ. Christ can transform and restore everything and anything in this life... when you give it all to Him. It's never too late to give your life to the Lord. In surrender, you don't lose your life. You find it. You find hope, peace, joy, love, forgiveness, purpose, faith, faithfulness, friendship, mercy, grace, a life worth living and the love our hearts need that only He gives.It's a heart thing! God wants you just as you are. With all the hurt, pain, and scars. He will exchange your sorrow for joy, hopelessness with hope, emptiness to fullness, brokeness with healing, replace the ashes with a masterpiece, blemishes into beauty, walls and chains to freedom, darkness to light, addicted, confused, and afflicted to sober, sharp, and clear. Defeated to victorious. Powerless to powerful. Orphaned and abandoned to an heir, a child of God, belonging to a heavenly family with a loving Abba, Father.